Nagababu Pyadala, Ravindra Reddy Bobbiti, Rajaneesh Borugadda, Srilatha Bitinti, Soumendra Nath Maity, Prudhvi Chand Mallepaddi, Rathnagiri Polavarapu. Background: Hypertension has become one of the major health problems and a most common risk factor for cardiovascular disease. Objectives: The present study was aimed to assess the lipid profile in hypertensive patients and find out its relation between lipid profile and hypertension. 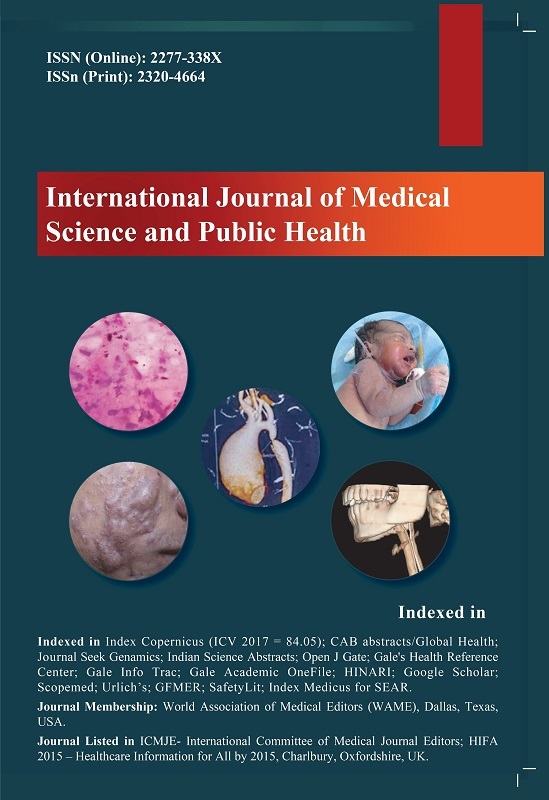 Materials and Methods: The present study was carried out at MNR Medical College & Hospital situated in Sangareddy, part of Medak District, Telangana state. A total of 160 study subjects were selected from the medicine ward of MNR hospital during the period from January 2015 to December 2015. Results: A significantly higher levels of total cholesterol, triglycerides, low-density lipoprotein, and very low-density lipoprotein were estimated in hypertensive subjects when compared with normotensive (< 0.001). The mean HDL of cases was significantly lower than that of controls (p < 0.001). Conclusion: The present study concludes that dyslipidemia is associated with hypertension. Because of increased blood pressure can create disturbances in lipoprotein metabolism. This can be preventing by taking healthy diet, proper medical treatment and life style change. Finally regular assessment of lipid profile among hypertensive patients can prevent cardio vascular diseases.